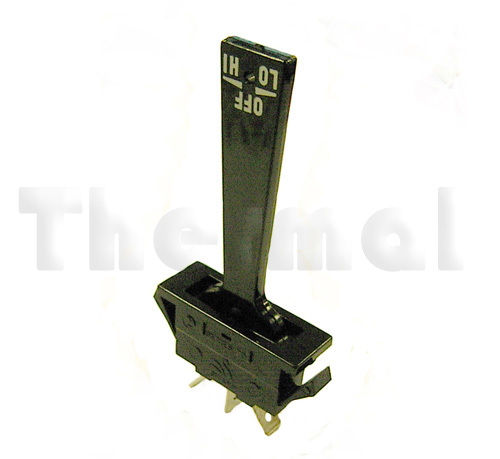 Rocker switches, as denoted by the way the switch ‘rocks’ in a cradle to make the switching action, are available in all shapes and sizes. 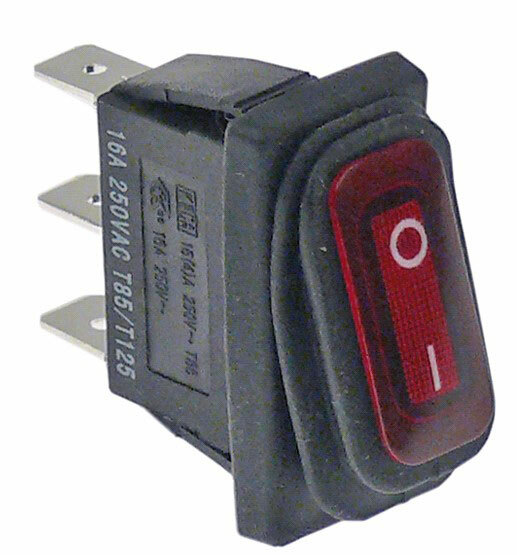 Rockers are much more varied than the toggle switch. 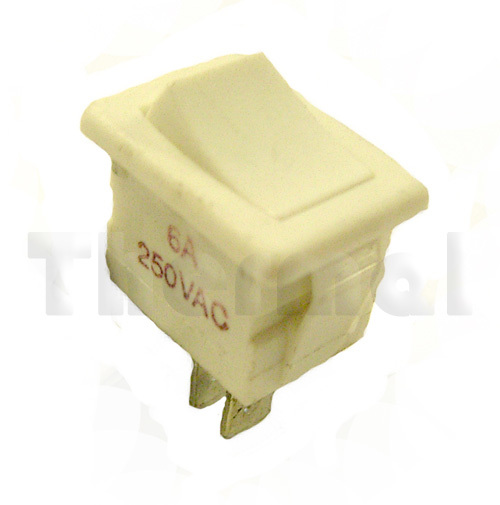 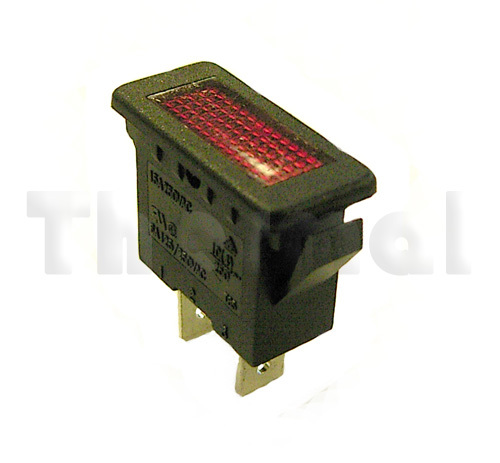 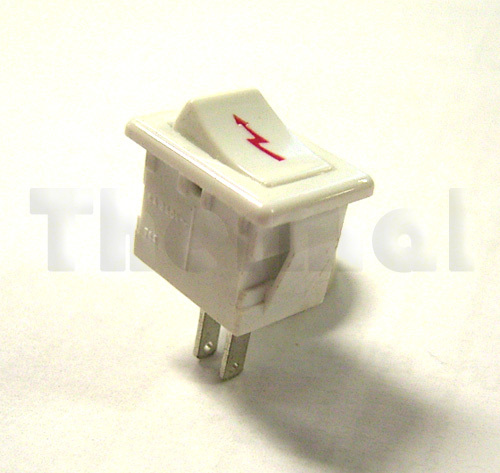 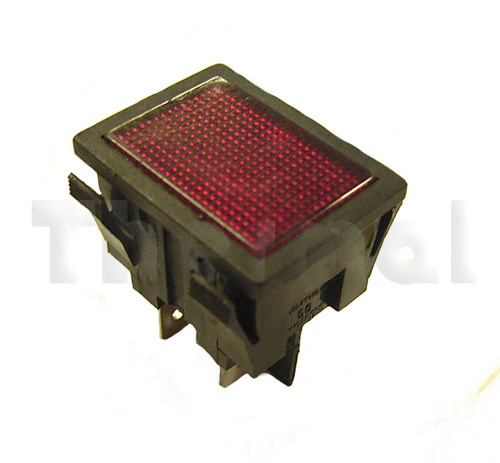 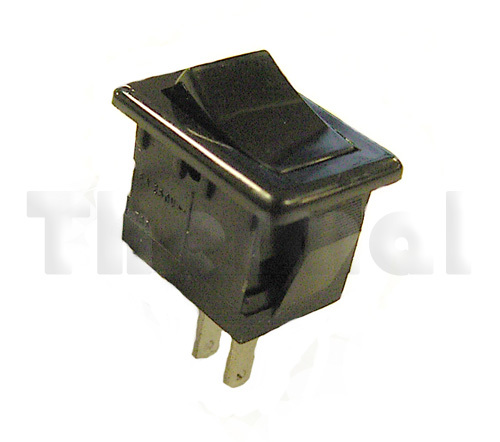 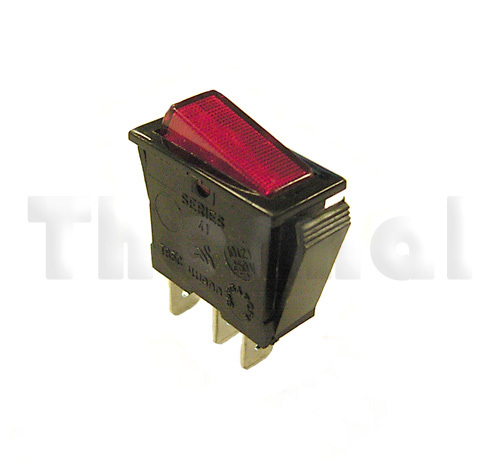 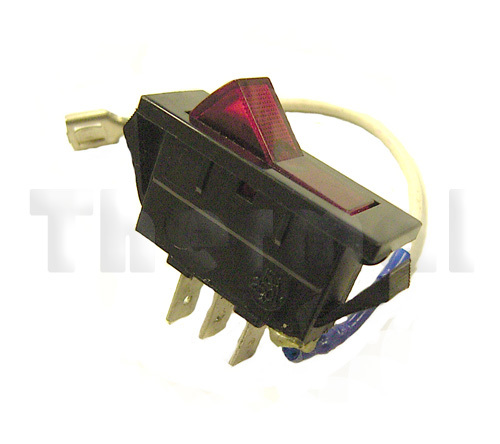 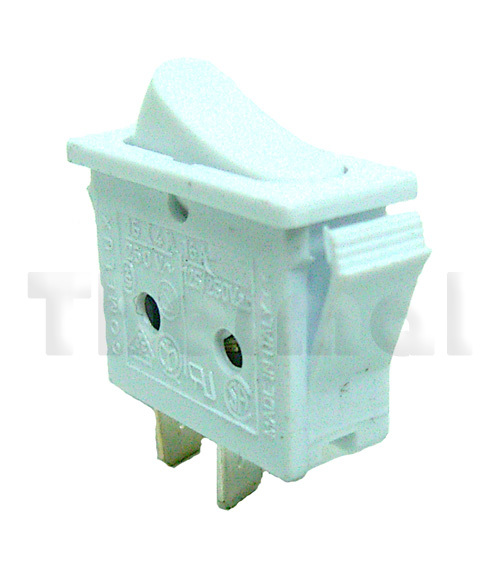 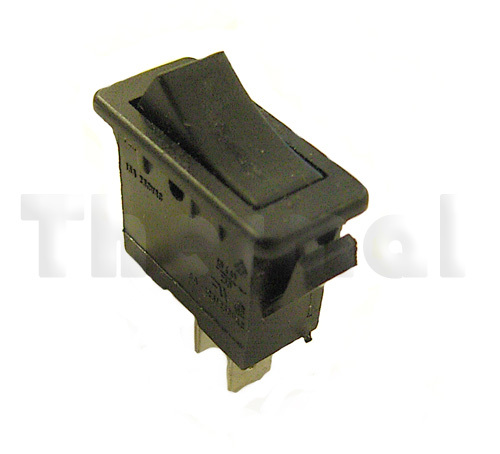 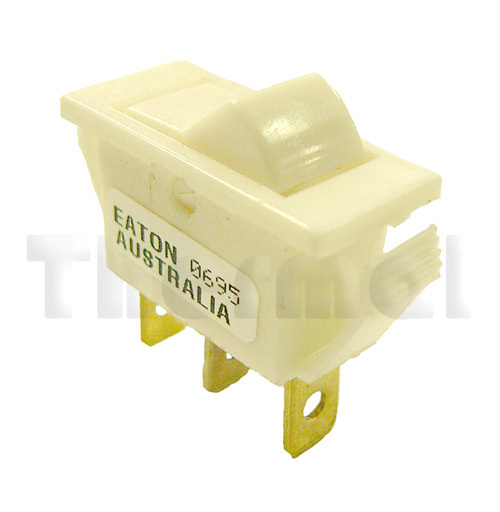 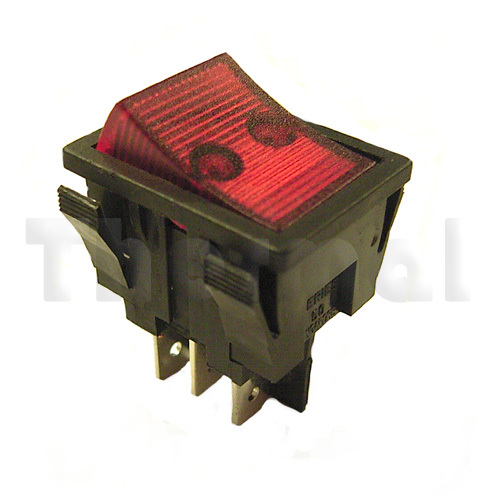 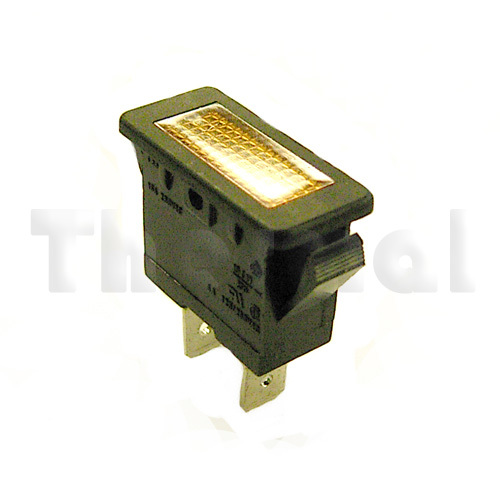 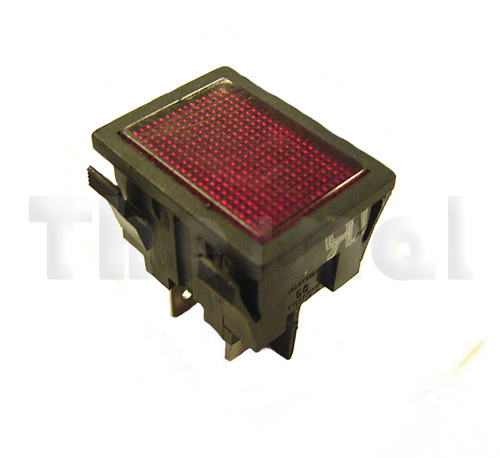 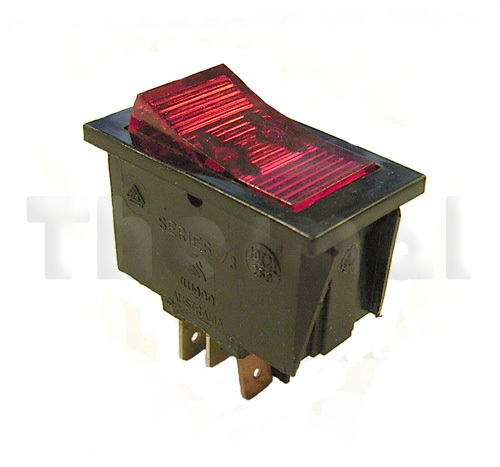 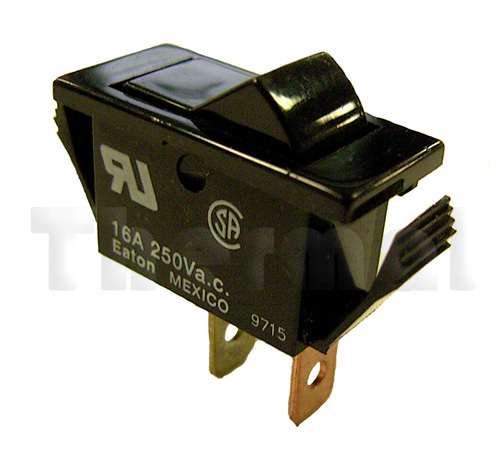 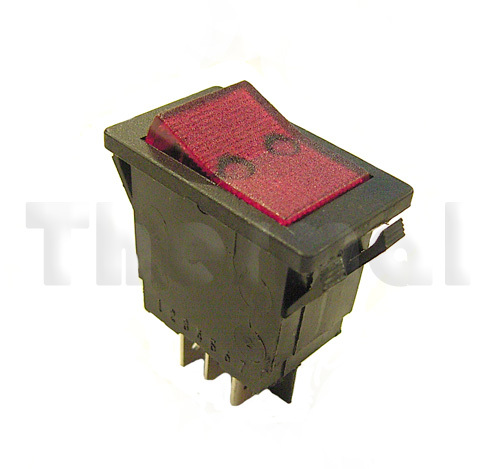 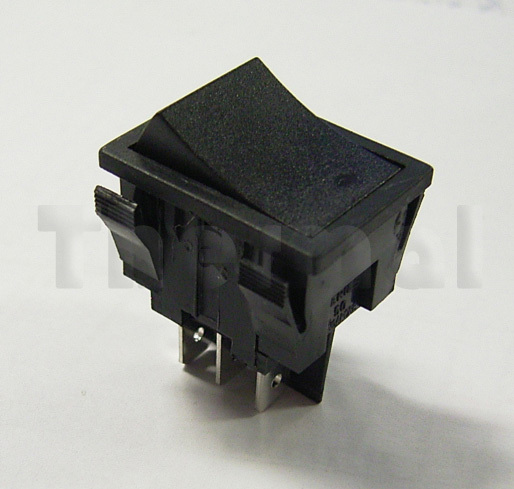 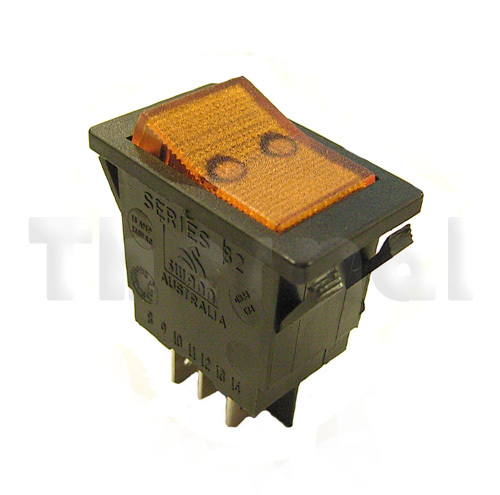 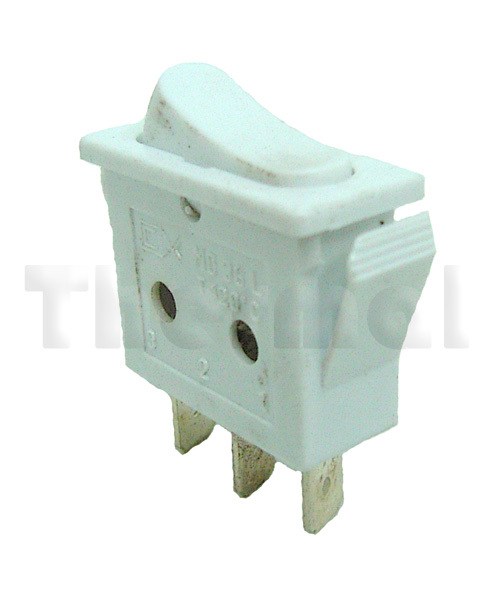 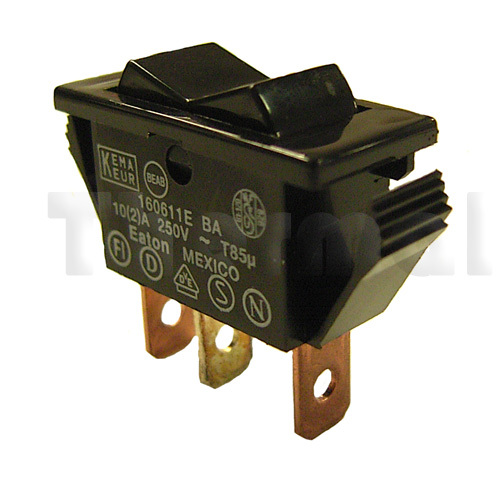 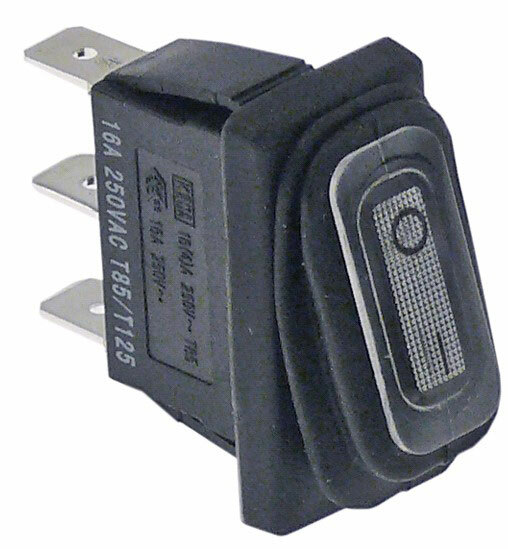 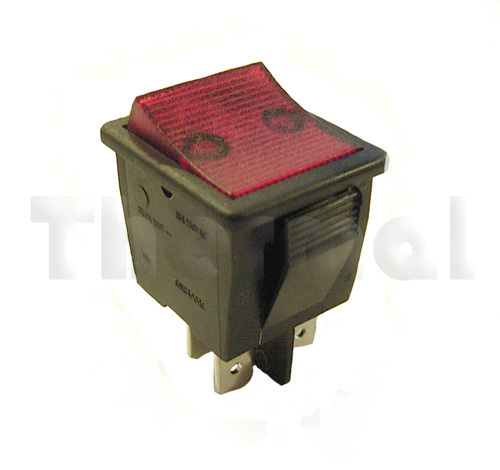 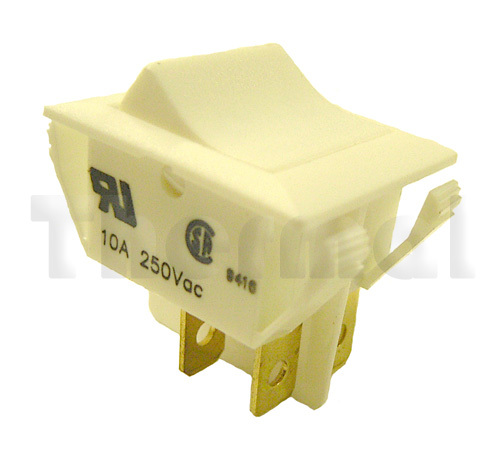 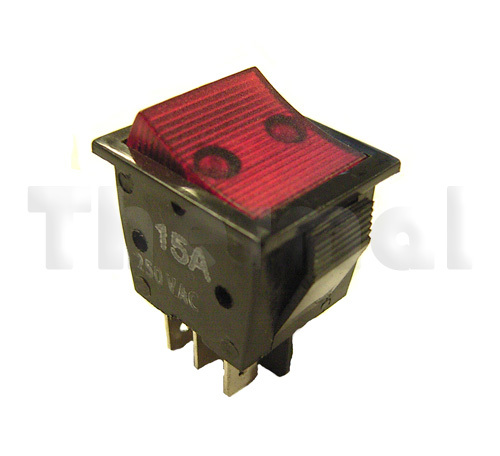 Where the toggle switch has a relatively standard mounting size, the rocker switch is infinitely variable. 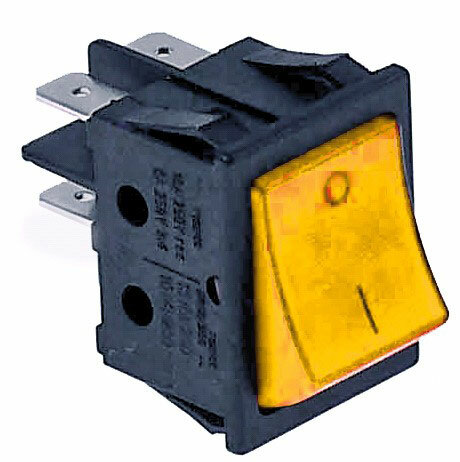 Anything from mini-rockers at 12×14mm cutouts to large panel mounted cutouts at 35×40mm, with at least as many switching circuits as the toggle switch. 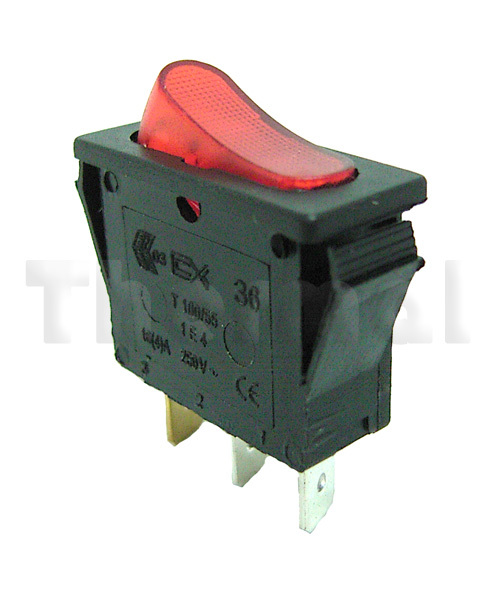 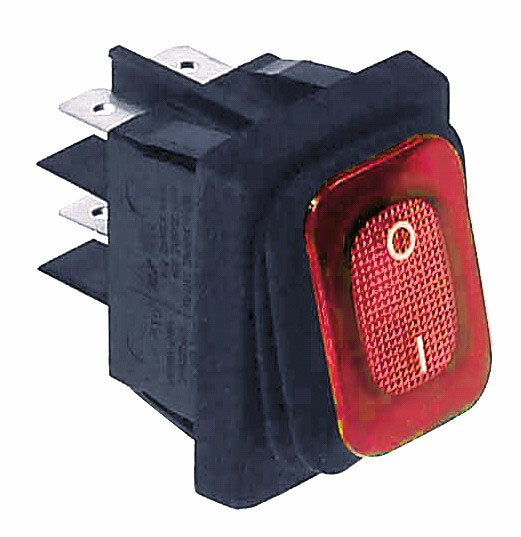 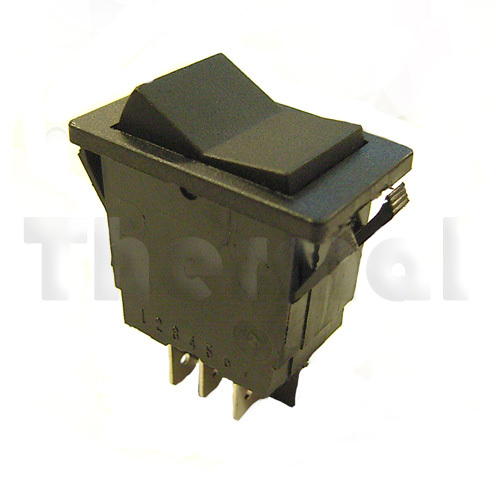 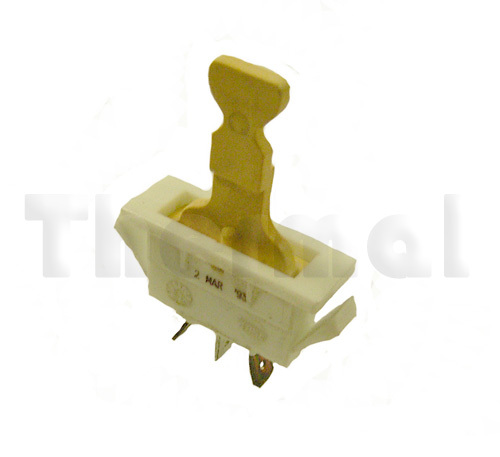 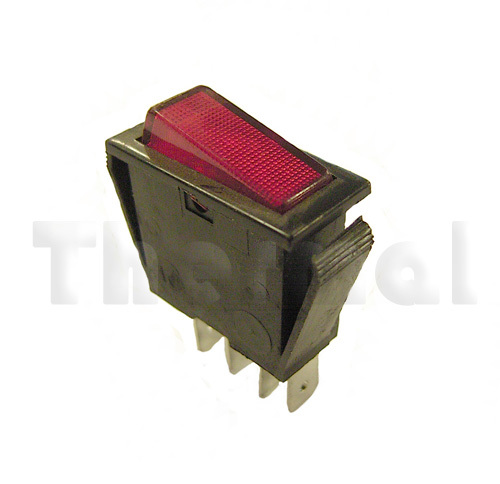 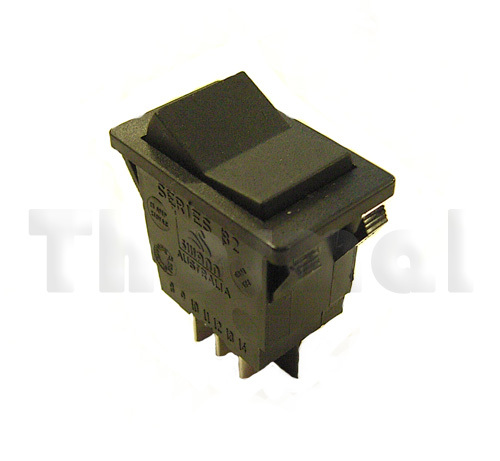 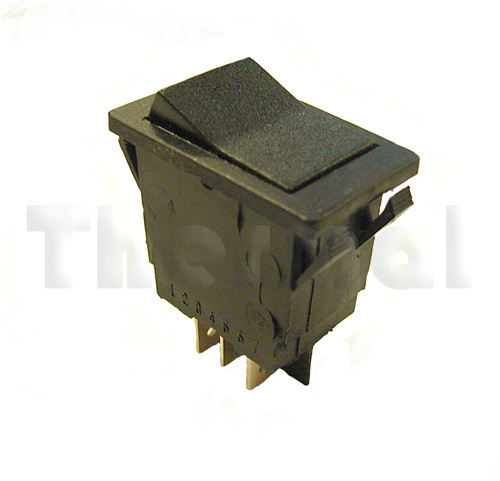 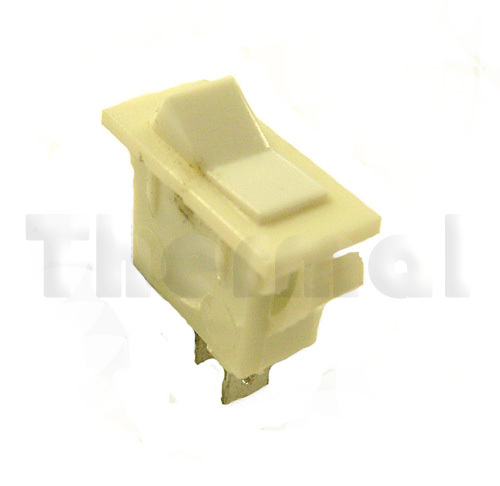 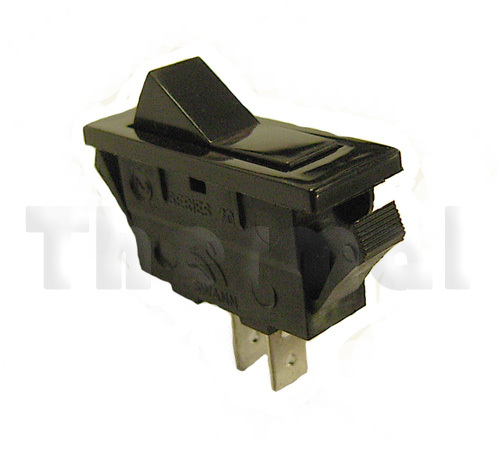 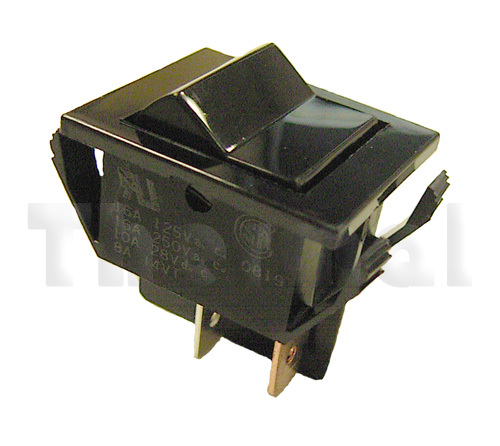 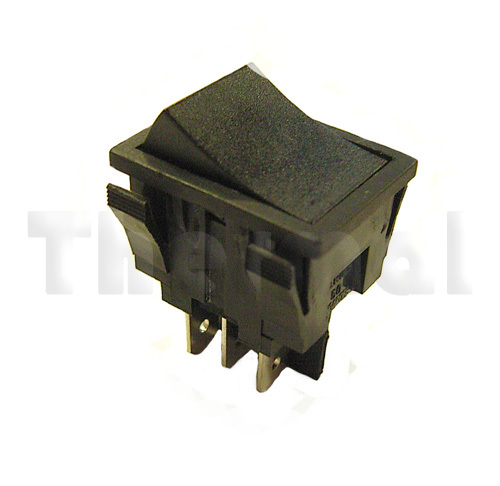 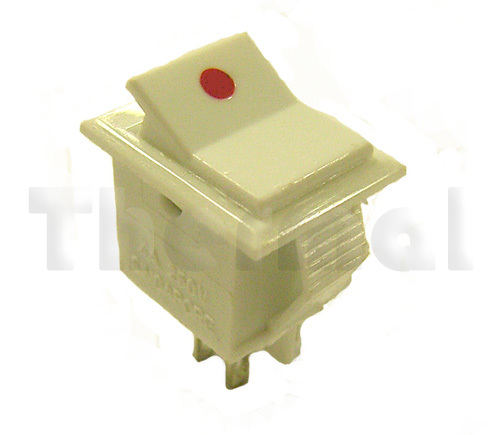 Comelux rocker switches are imported and distributed through Swann Electrics, and by default, Thermal Products. 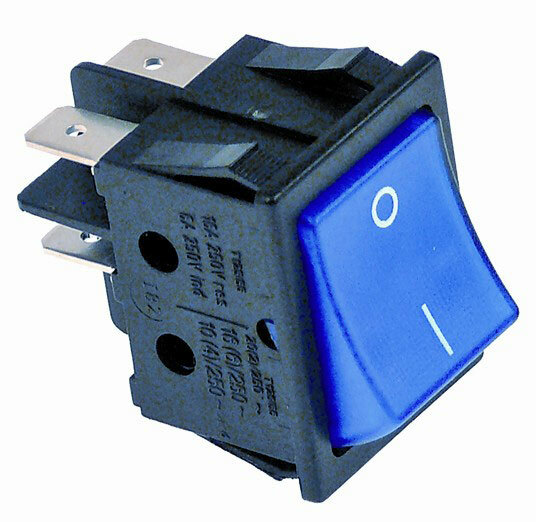 The range of switches available is not as comprehensive as Swann’s range, yet those that are available suit many applications. 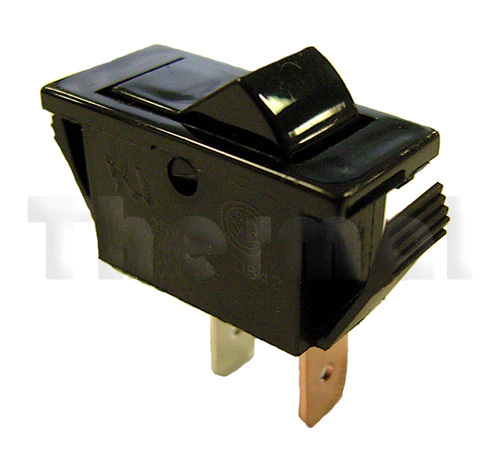 Also unique to this range is a “Splash proof” cover for the double pole rocker. 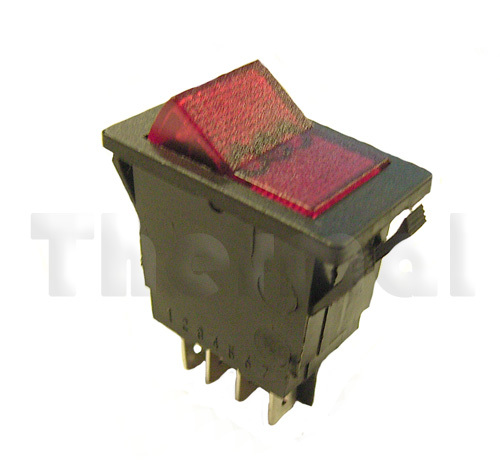 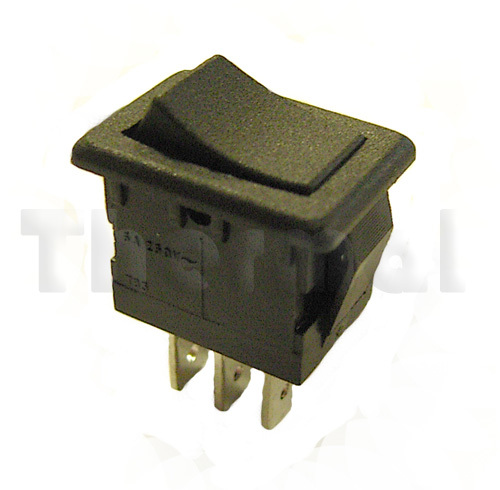 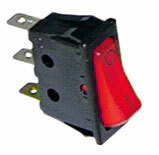 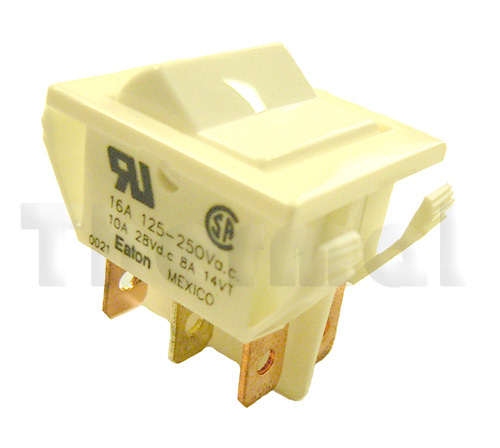 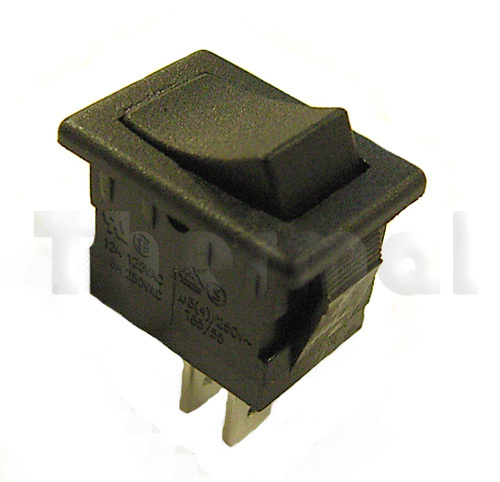 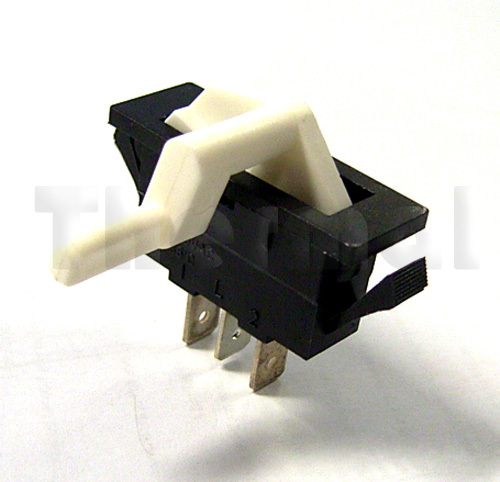 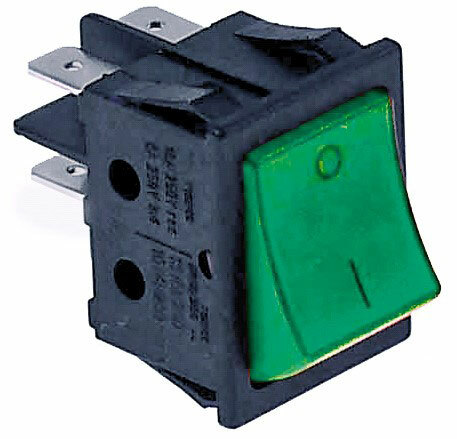 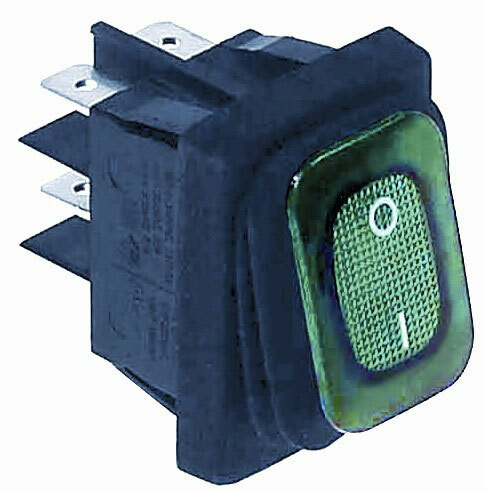 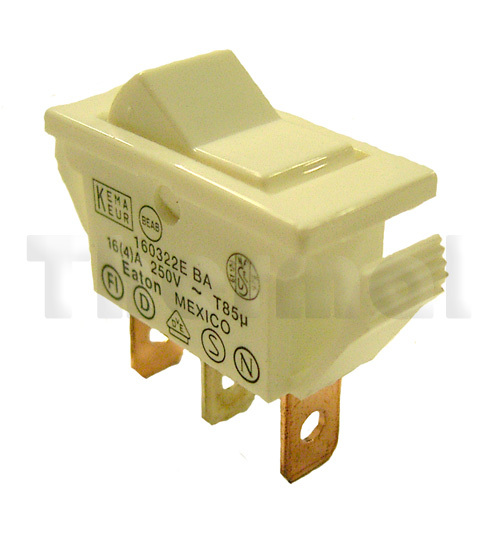 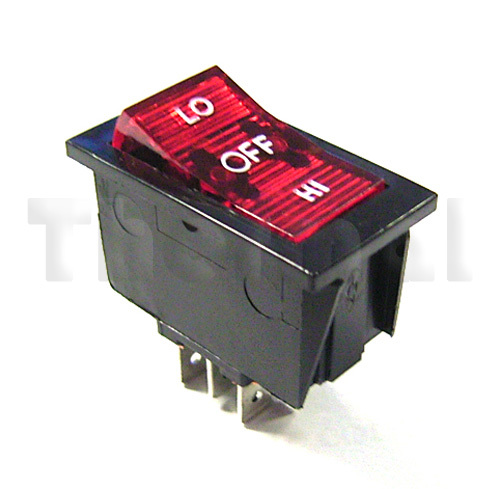 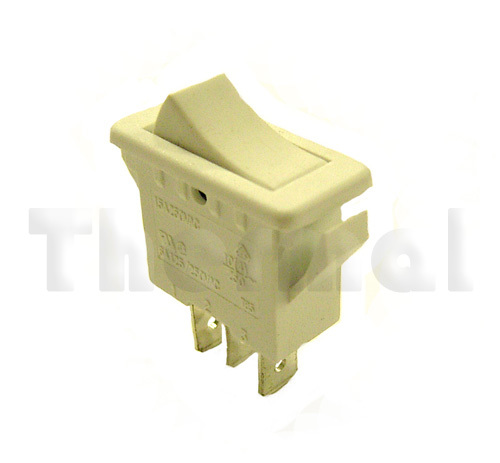 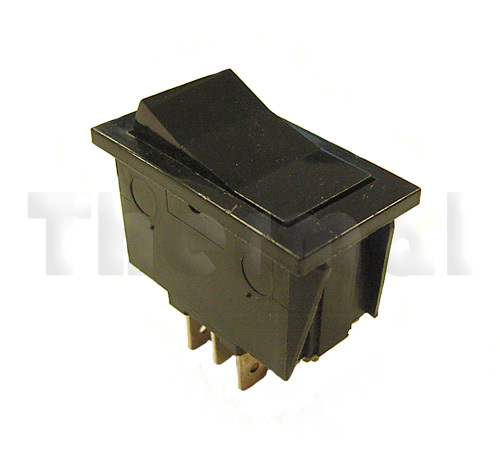 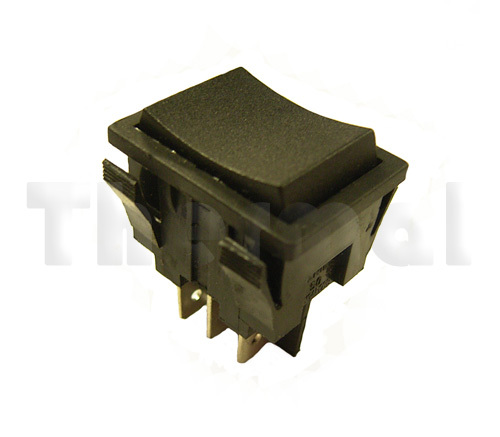 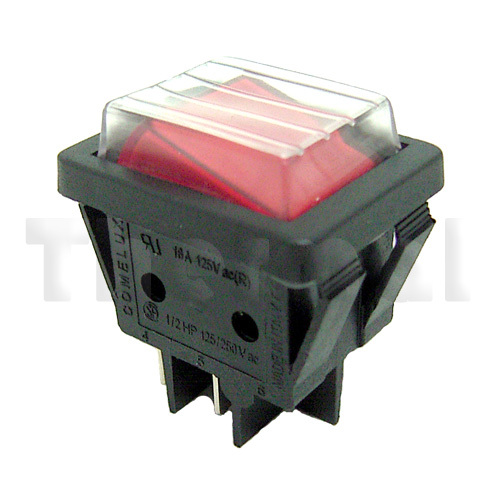 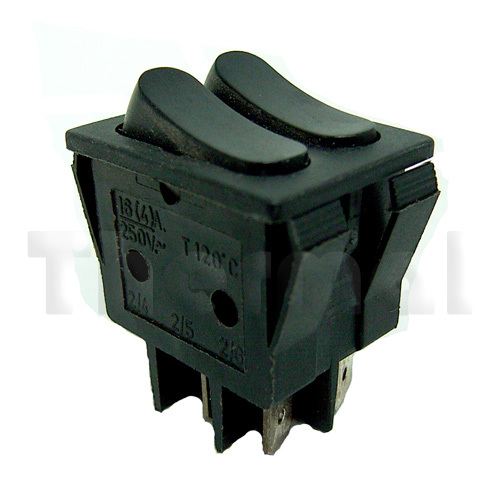 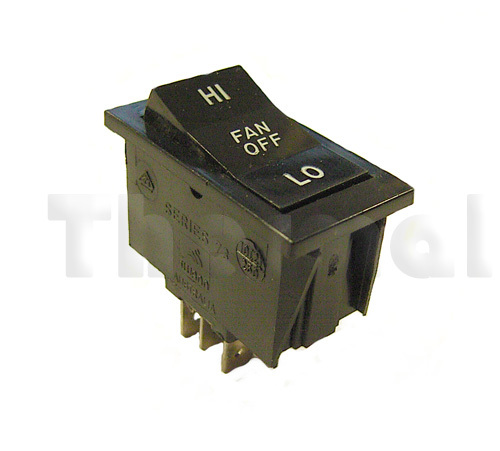 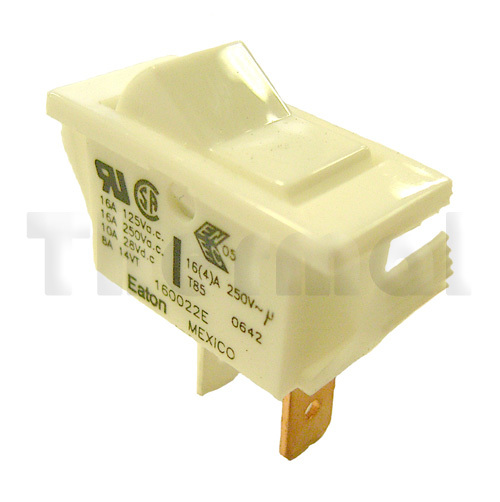 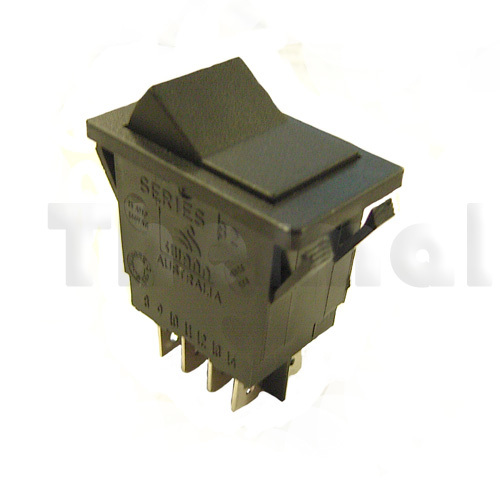 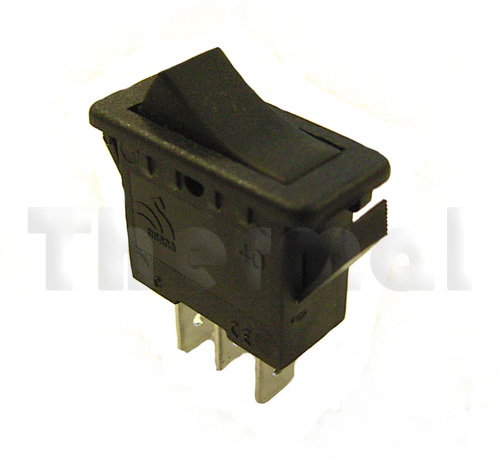 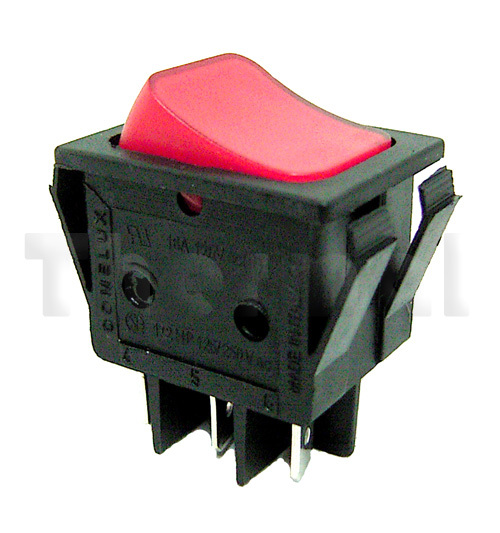 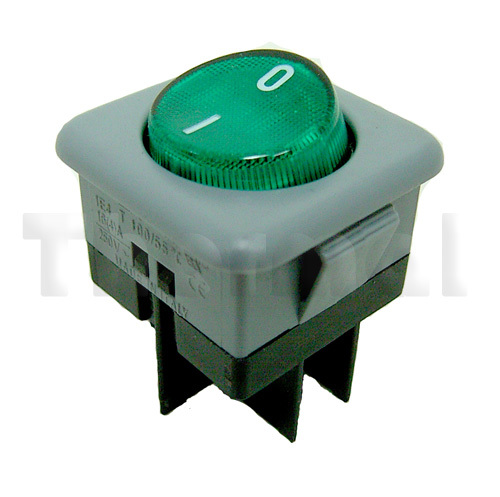 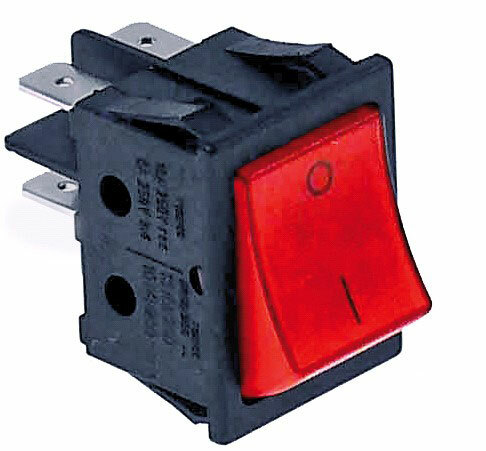 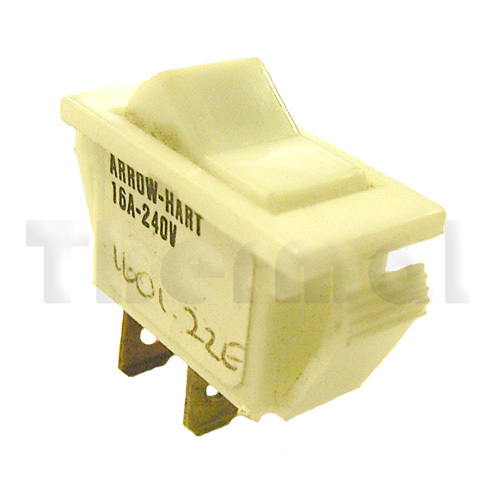 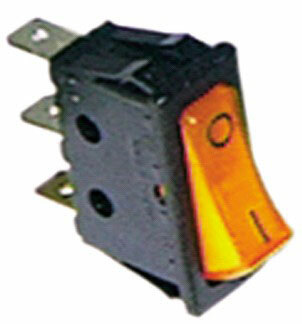 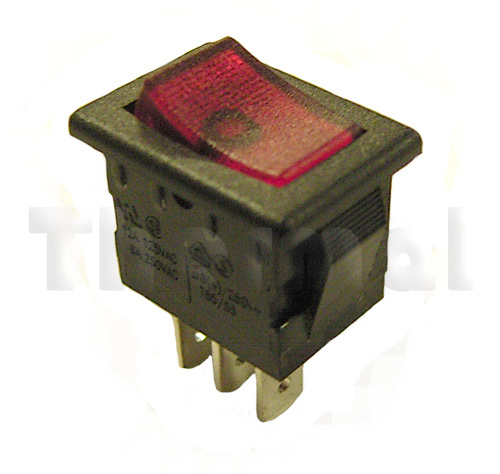 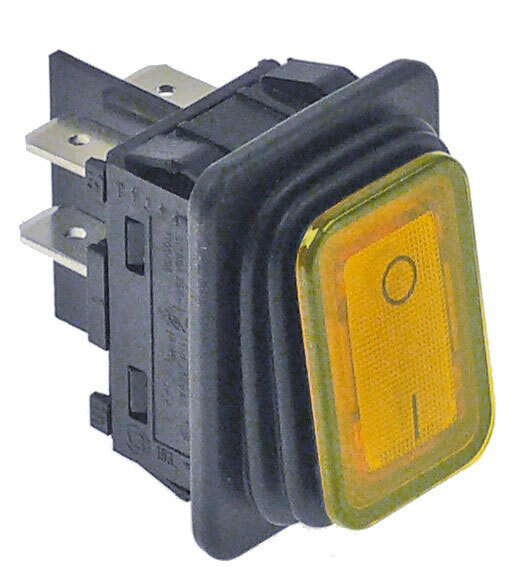 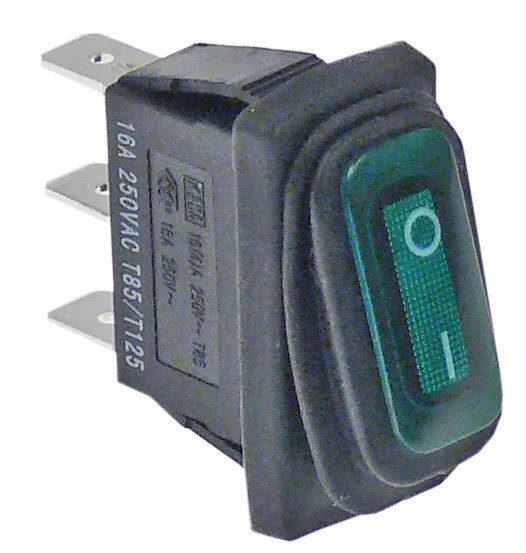 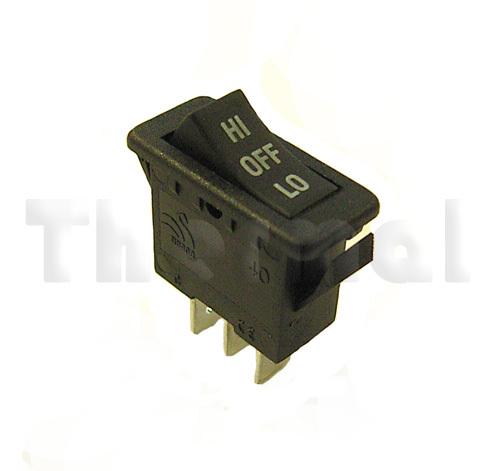 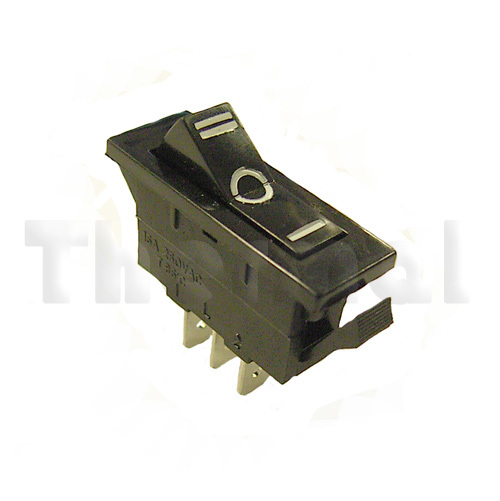 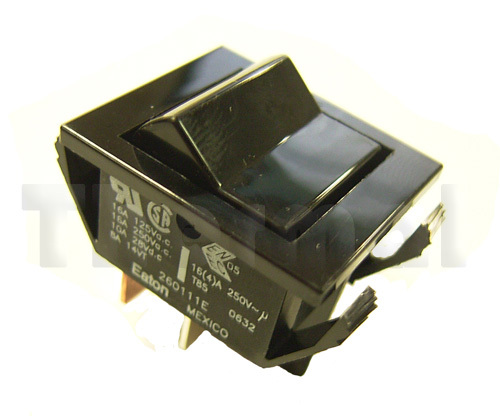 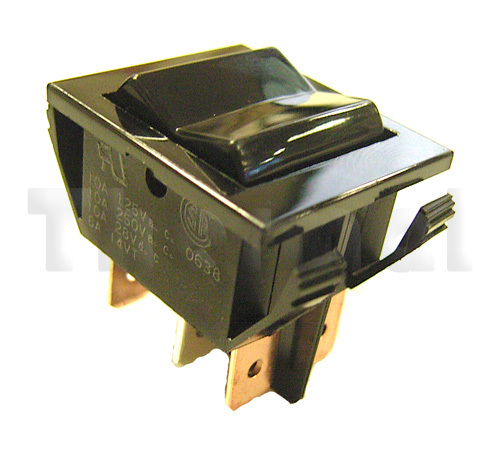 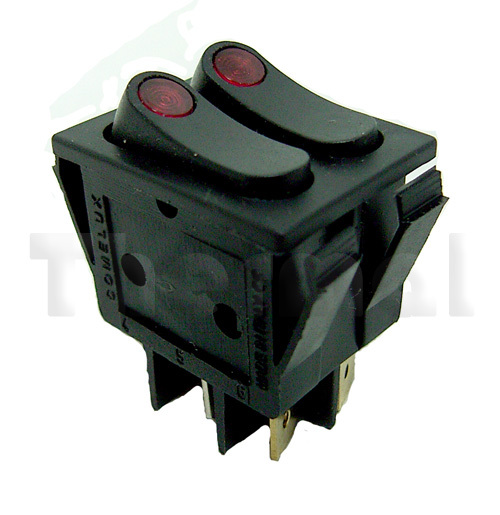 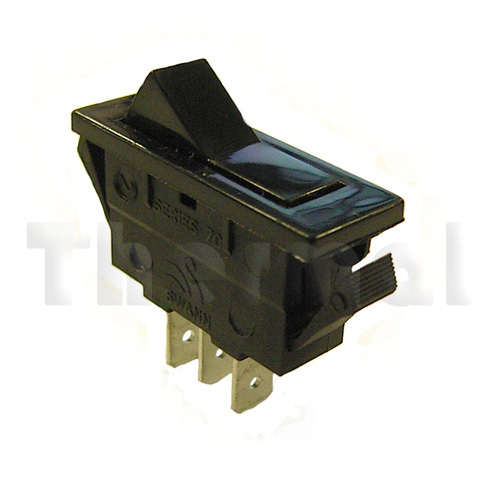 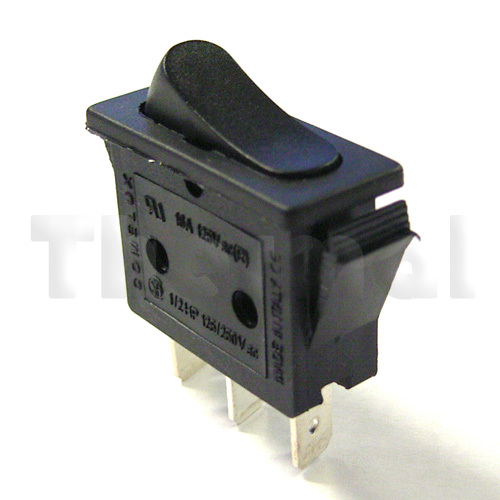 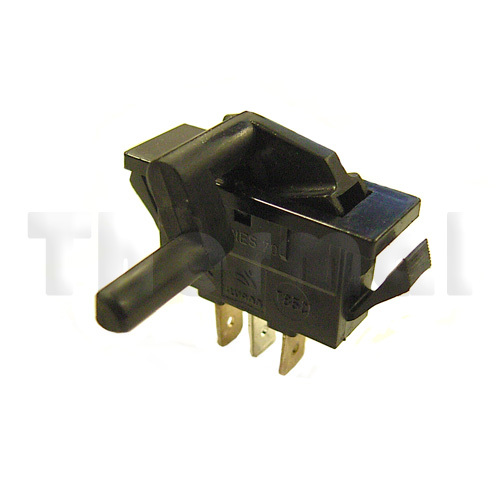 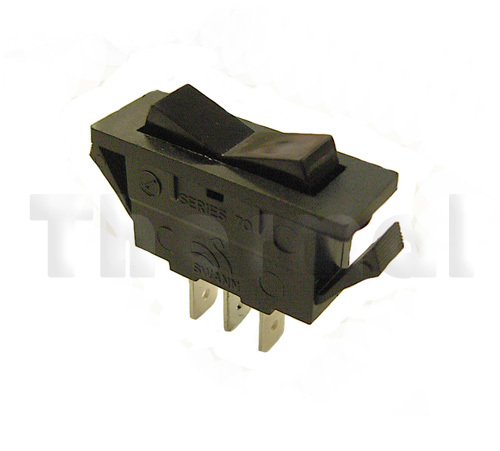 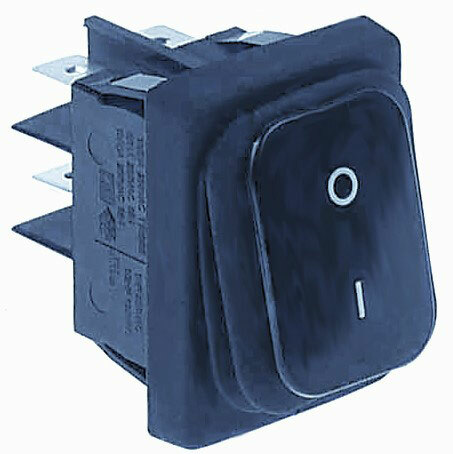 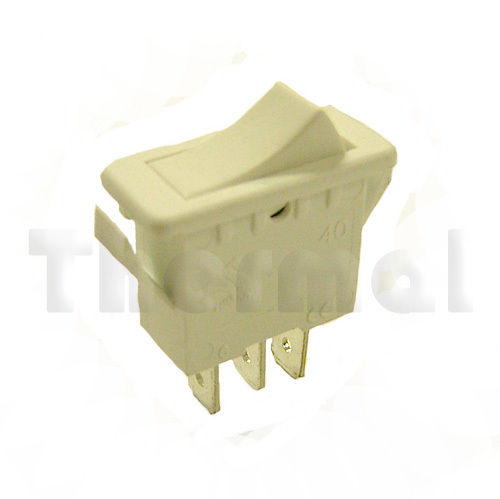 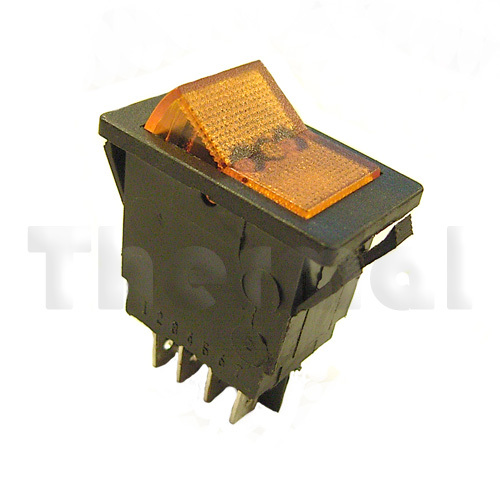 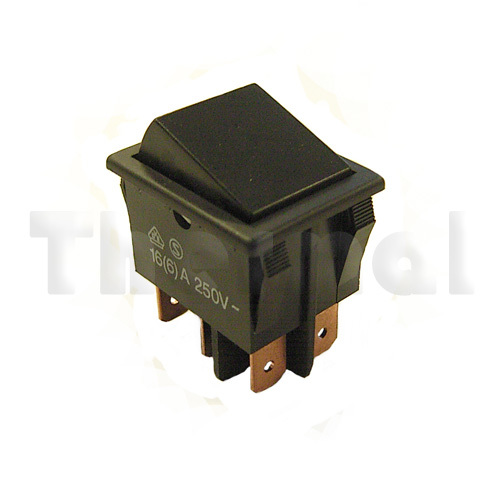 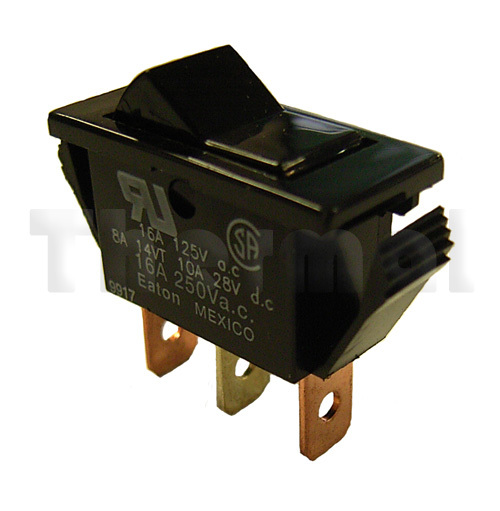 Cutler Hammer switches are available in more diverse switching combinations. 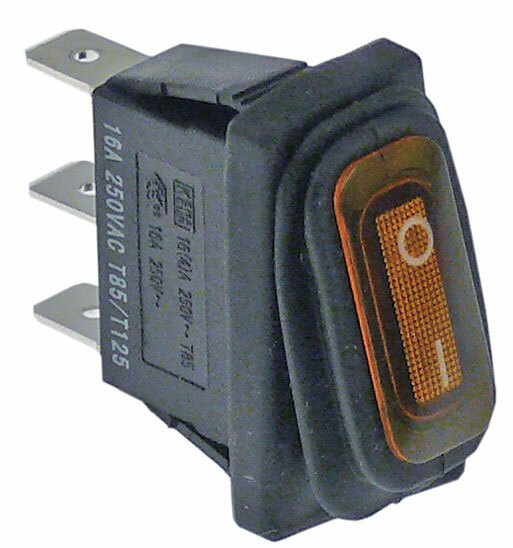 Three types of rockers are listed.